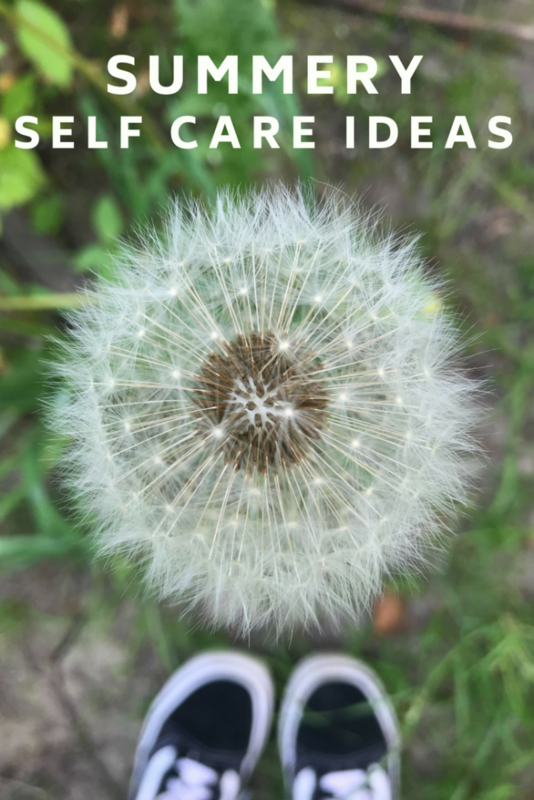 Summer can often be hectic, especially if you’re a busy mama trying to balance work, a family and a busy home life but I think it’s really important to squeeze some self care into the mix too. Looking after me is really important because I need to be feeling energised and relaxed so that I can do all the things I need to! Just taking 5 minutes to myself to sit outdoors in the garden and drink a cup of tea is perfect, 5 minutes break with my feet up always makes me feel good. Switch it off… I know, technology is now *essential* but sometimes if feels good to just switch it off, put it away and take a break, even if it’s only for an hour. I like to squeeze in meditation every day – I love the Take A Break meditation app it has a 7 minute “take a break” meditation which is perfect for doing when you’re busy. If I get the chance on a really warm day it feels just delightful to take an afternoon nap, to lie on the bed, maybe read for a while and just drift off to sleep listening to the world go by. I always try to pick up a few new books for reading over the summer – easy, light novels, books I can dip in and out of whenever I get a few minutes. Spending time outdoors amongst nature always, always lifts my spirits – and a trip to a local river, lake or beach is even better. Opening the windows wide and filling the house with fresh air and turning up the music is one of my favourite mood boosters. Catching up with friends and putting the world to rights over a nice cup of coffee and big wedge of cake is just perfect, great for the soul. Create a little retreat corner – somewhere you can just sit, out of the way, for a little quiet time, make sure it’s comfortable, cosy and perfect for curling up in with a good book. Pack up your favourite sandwiches, some fruit and drinks and head off for a picnic – the local park, head off to the countryside or beach or just into the garden. Spend a few hours just relaxing and enjoying lunch. Tie a bunch of your favourite herb sprigs and lavender blooms together and hook over the shower head, let the water run over them and the steam infuse your shower with herby lavender scent. Keeping hydrated is really important to me – especially during the summer – I like to do fruit infused sparkling water, just so if feels more of a treat to sip. Get up really early, or spend and evening sat in the garden and watch the sunrise/sunset – it feels so relaxing, totally free and feel good.